Different ‘social media experts’ will give you different advice as to which social media will produce the best results for your business. Rather than spending time summarizing the different opinions, I’m just going to present you with what actually works. 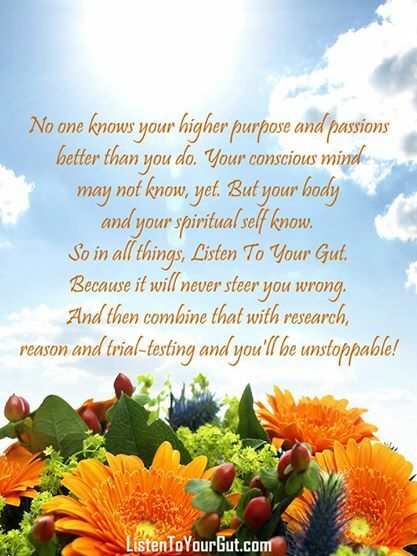 In a real life tried-and-tested Health business; where I sell books, CDs, DVDs, teleseminars and over 300 supplements. And here’s the bottom line: It doesn’t matter so much WHICH social media you use, what matters is HOW you use it. Always, always, always use social media as a vehicle to drive people to your site where they can sign-up to your email list. Your email list or database is KING. It doesn’t matter if your video has a million views, or you have a million Twitter followers; until those people opt-in to your list, you do not “have” them and your sales (or lack thereof) will reflect that. Email marketing is covered extensively in Listen To Your Freedom – where I show you exactly how, when and why to email your list and how to develop a relationship that leads to sales. For now, just remember to ALWAYS post a link to your site, or to a specific blog post when posting to social media. This is so that people will come to your site, and then hopefully sign-up to your email list. Every graphic you post should link back to your site in some way. If you post a photo of your cinnamon buns, make sure it links to your recipe or story about cinnamon buns on your site. If you share an image on Facebook or some other place that doesn’t allow you to embed a link, then add your website or name to the image itself, so that your website, name or branding is part of your photo. Remember, that people do not buy your product from Twitter or LinkedIn or YouTube – the point of all these social media is to introduce you to new people, who then follow your link to your site, then opt-in to your email list and THEN you begin building the relationship with them that eventually results in a sale. At the end of the day, it’s not so much about which social media platform performs better than others. It’s more about which one resonates with you the most. Which one do you feel is easiest to use and thus you’re likely to use it the most? Some people live on their cellphones, so Twitter and Instagram are the backbone of their social media marketing. Others prefer their computer, and others adore video. You will have the most success if you use the media that you feel drawn to and that feel easy and natural to you, or that you feel the highest degree of satisfaction with. For example, for me, Twitter annoys the crap out of me and I really don’t see the point. If I didn’t have a VA (virtual assistant) I wouldn’t bother with it at all. I barely spend any time on a cell phone because I want to minimize my radiation exposure – as currently the technology is not safe (for many reasons – see my blog!). So again, I outsource Instagram to a VA. I also outsource much of Pinterest, because although I enjoy choosing and pinning pictures, my time is better spent creating the in-depth content on my blog and videos. My VA then grabs this content and pins it to Pinterest, Instagram, Facebook, Google+ and Twitter. After using my VA (virtual assistant) to do these tasks for a couple of years, I then moved everything to a social media manager (found on Elance.com now Upwork.com) who posts everywhere on my behalf, twice per day, seven days a week. I just approve the posting content (and correct any errors) at the beginning of the week and then I don’t have to look at any of the social media, or even think about it, for the rest of the week! For me, that is awesome. So I can focus on what I love and am good at, which is creating the content (videos, blog post, books, programs, products, etc.). But until you can afford to do that – and it is likely sooner than you think – just pick whichever social media appeals to you and use it to drive traffic (visitors) to your website. Google+, LinkedIn, Twitter, Facebook, Pinterest, Instagram, YouTube, Viddler, Vimeo, StumbleUpon… there are over 300 social media tools now! Use whichever ones you think reach your unique, defined audience. For example, if you’re a budding pop star, you’re not going to use LinkedIn, you’re going to use YouTube. Use whichever ones you like, feel free to try out different ones, use them for a while and see if they feel ‘easy’ to you. Daymond John is the founder and CEO of the $5 billion clothing company FUBU and he manages his own Twitter account – because he’s always on his cell phone and he enjoys tweeting! You can see from the screenshot of his Twitter account on the left here, that he tweeted 2 hours ago and 7 hours ago for a total of 4 tweets in 24 hours. 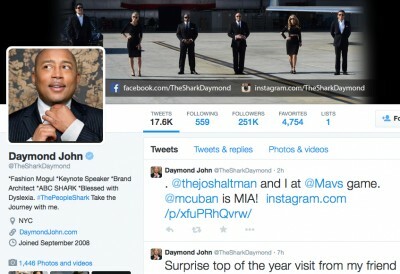 This is the ideal social media platform for Daymond because he LOVES it. The easier and lighter something feels, the more you’ll use it and that’s what good marketing (telling people about your stuff) is all about. When you’re building your business, always go with the flow, go with what feels natural, light, fun, or exciting. If something feels like drudgery, it’s a waste of your energy to force yourself to do that. Either outsource it, don’t do it, or think outside the box and come up with a workaround that accomplishes your end goal, yet keeps you feeling light and expansive. Once you have identified your ideal customer (your tribe) – and again, there’s an entire Module in Listen To Your Freedom that helps you do just that – you will also be aware of where they hang out and which social media they like to use. Examine your own personal preferences and lifestyle now, and see where their hangouts intersect with what YOU enjoy. And start there! 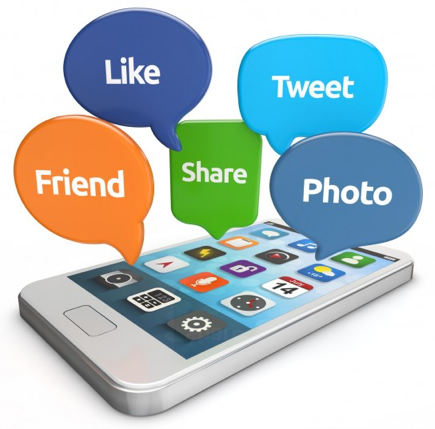 Just remember the Social Media Golden Rule and for everything that you post, tweet, video, or share – always include a link to your website where people can sign-up for your fabulous free offer. In the Listen To Your Freedom Lifetime Membership program, we are all about hope and belief in yourself; combined with the tools and roadmap you need to make your online business successful – and create the life of freedom you first envisioned for yourself. Even if you already have a business or a website, if it’s not making you the kind of money you want, it’s because there’s a piece missing, or some crucial elements need to be tweaked.